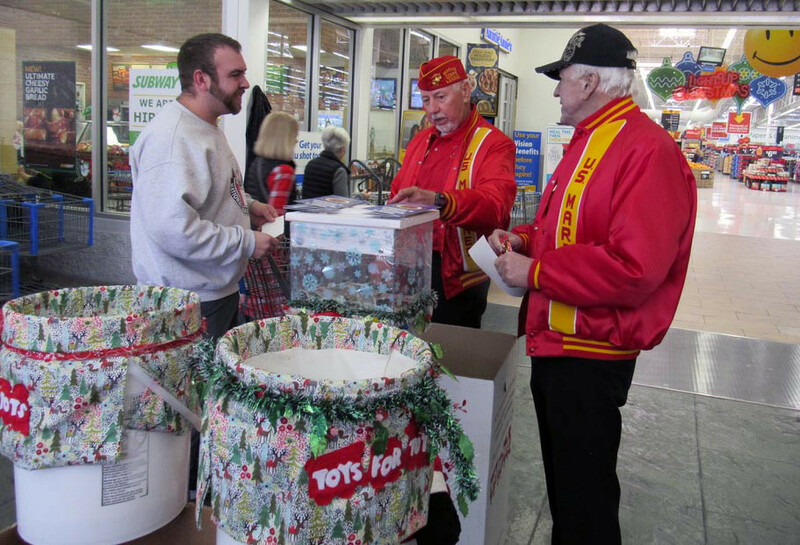 ST. GEORGE — Stationed at both Walmart stores in St. George, the Marines of Utah Dixie Detachment 1270 took up positions Saturday at each store entrance to encourage shoppers to donate toys and other gifts for the “Toys for Tots” program. Standing in their red and gold Marine Corps League uniforms, they served as a visual reminder to shoppers that the program provides a major service to Southern Utah families. Many people chose to donate money if not toys, which helps the program fill the gaps. 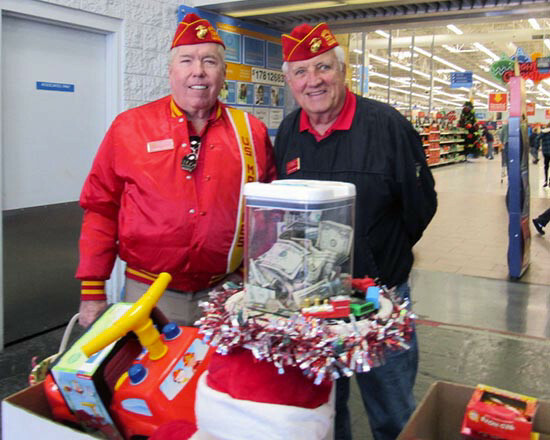 Last year, the detachment helped deliver about 14,000 toys and gifts to Southern Utah area children, program coordinator and U.S. Marine Corps veteran Rick Massey said in a press release issued by the detachment. In addition to toys, about 12,000 books were distributed to over 4,000 families. However, this year the need may be greater than ever, with more families applying for help. The program is still actively looking for donations. “There is a great need for gifts in the teenage range,” Massey said, explaining that people are naturally motivated to pick up toys for younger kids but often don’t think about things like personal grooming items, makeup kits and electronic devices for older youth. Toy donations can be placed in a drop-off box at the St. George News headquarters in the Canyon Media Center, 3143 S. 840 E. #100, just off Brigham Road in St. George. To find other drop-off box locations or to make a monetary donation, visit the Washington County Toys for Tots program website. The Utah Dixie Detachment also coordinates with 99.9 KONY Country’s “Coins For Kids,” a fundraising program dedicated to providing Christmas for disadvantaged children in Washington County. Coins for Kids president Carl Lamar said in a previous St. George News story that everyone who gets involved in the program is overwhelmed by the holiday spirit they feel. “They love doing it, and they keep coming back every year,” he said. Donation and volunteer opportunities for Coins for Kids can be found at the program’s website.